Moving to Ireland with children? You’re in luck; there’s so much here to keep them entertained during the school summer holidays – whether the sun shines or not! Here are a few fun suggestions. There are plenty of Blue Flag beaches dotted around Ireland that boast excellent water quality and lifeguarded swimming areas. The Blue Flag season runs from June to mid-September, perfectly aligning with those seemingly endless school holidays. There are some seriously stunning locations too, like breath-taking Inch beach in Co. Kerry, which was recently voted Ireland’s best beach. Or, if you’re living in Dublin, Seapoint beach is a popular location for swimmers, and is perfect for canoeing and kayaking during summer months too. Why not check out the full list of Blue Flag beaches and start ticking them off your list. Sports are a great way for kids to make new friends and quickly become part of the community. Ireland has a proud sporting heritage, and its very own national sports; Gaelic Football, Hurling and Camogie. You’ll find a GAA (Gaelic Athletic Association) Club in pretty much every town in Ireland, and the popular GAA Cúl Camps teach kids the skills of the games. Promising an action-packed, full-filled week of activity, they’re a great way to burn off energy and have lots of fun. We’re accustomed to a bit of rain here in Ireland, so the country is well-equipped for indoor pursuits during summer months. Expand kids’ minds with a trip to Dublin’s Natural History Museum, where they’ll discover giant skeletons, mammals, birds and fish from all over the world. Or why not visit the National Gallery, where they can enjoy art by greats like Caravaggio, Monet and Jack B. Yeats. While you’re in the area, the nearby Science Gallery is well worth a visit too. This fun, interactive space hosts themed exhibitions, and is guaranteed to get children and adults alike thinking more creatively. The National Museum is another gem; learn all about Ancient Egypt, or discover what happened during the dramatic Battle for Dublin way back in 1014. Looking for somewhere you can take the whole family, buggy included? Ireland has some lovely walks, perfect for a fun-filled day of exploration. Take a trip to Donadea Forest Park for example. Located less than an hour from Dublin, this 243-hectare forest in Co. Kildare has a pretty lake and grassy areas for a picnic, plus an all-important coffee shop for parents! 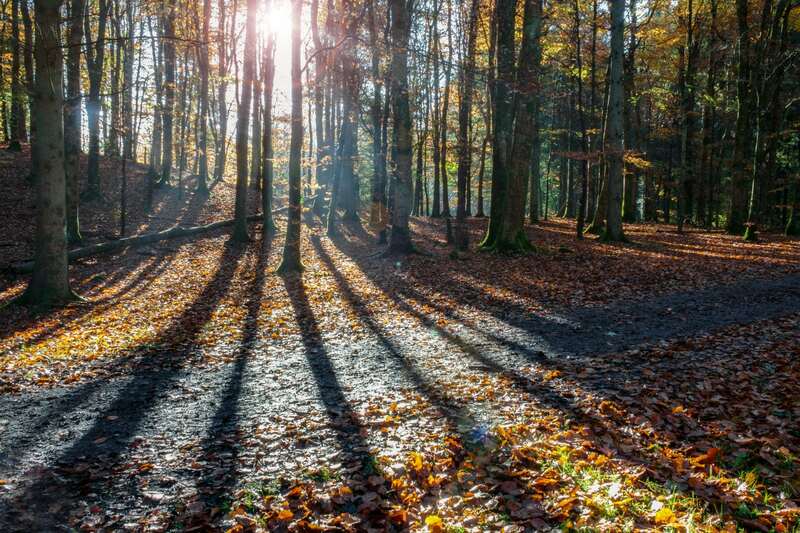 If you’re in search of a bit of magic, take a trip to Belleek Woods in Mayo. Here you’ll find a forest trail dotted with fairy houses that kids will absolutely adore. Or why not take in some sea air with a hike up Dalkey and Killiney Hill in Dublin. You’ll be rewarded for your efforts with breath-taking views of the pretty Dublin coastline.